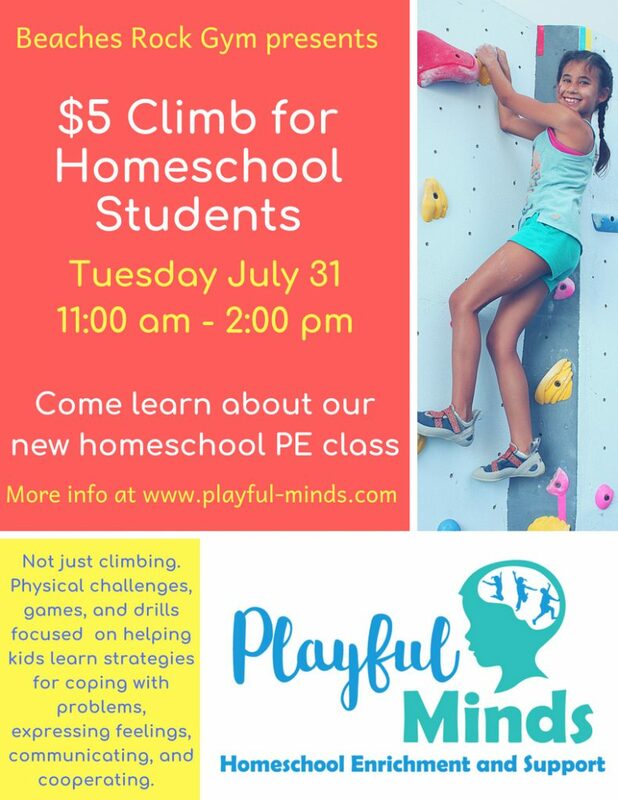 Beaches Rock Gym and Playful Minds LLC are thrilled to announce their new partnership in providing physical and social-emotional wellness classes to homeschool students! 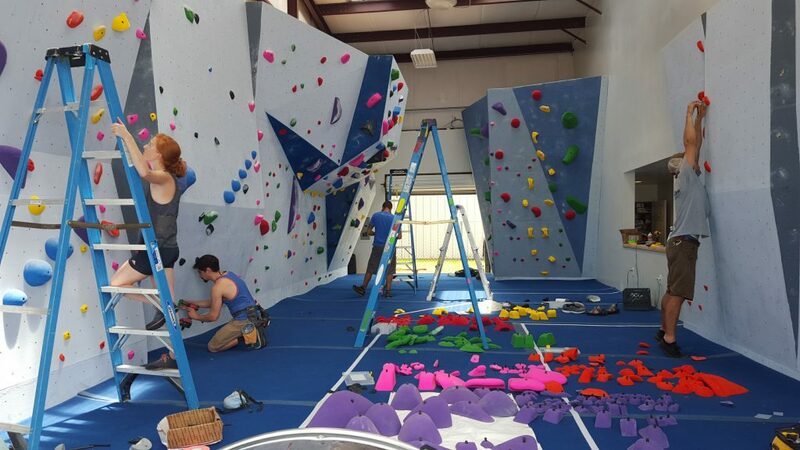 In our new class “Cooperation, Coordination, and Climbing,” homeschool students will be able to practice their problem solving while improving their focus, balance, and determination through their work on the bouldering walls. 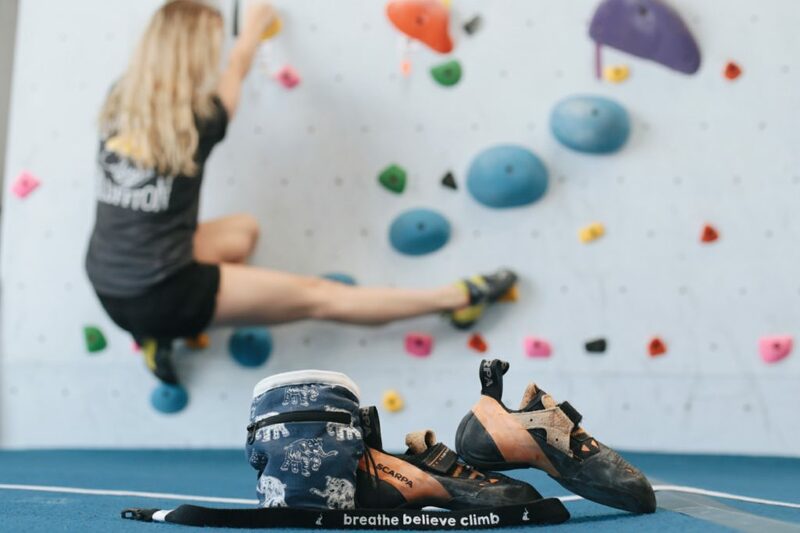 But beyond the climbing, they will also engage in activities to improve coordination (such as jump roping and ball work), teamwork capabilities (challenges and team building activities), and communication skills (group meetings and connection games). We currently are offering homeschool enrichment classes at the elementary and middle school levels. We want to invite all homeschool students to come out and enjoy a $5 kids climb day at our gym on Tuesday July 31 at 11:00am- 2:00pm. At the event, we will have more information and will be available to answer questions about our classes. There will be a few special offers too! Hope to see you there! Kim Kelly has provided social-emotional enrichment to public school students for over 12 years. With a love for physical fitness and a passion for building resiliency in children, Kim is now able to shift her sole professional focus onto doing what she loves best!